This rather large beauty is currently out of print, but if you ever happen to stumble across a copy, grab it! 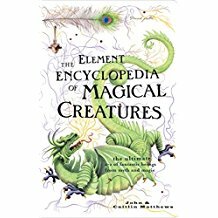 As the name indicates, it is an encyclopedic collection of fantastic creatures and monsters compiled from fairy tales, myths, and classic fantasy stories. Each entry even includes delightful details that can add nuance to your story through which ever creature you decide to incorporate. As of the time of writing, I think there were four copies available on Amazon through third-party sellers. 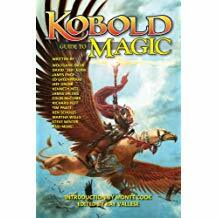 Kobold Press is a treasure store of resources for people who enjoy role playing games (RPGs). 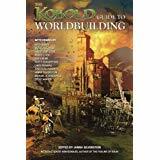 There are a lot of similarities between building a campaign for an RPG and a fantasy world for a novel, which makes Kobold Press titles an invaluable resource for me. Each book contains a collection of essays written by different authors who happen to be RPG game-masters, and this particular one contains several essays that I come to frequently when I’m considering the cultural details of my stories. Did I mention that I refer to Kobold Press resources often? This particular book is a must-have when building a magic system for your fantasy world. Just exploring the details about the types of magic systems that are possible can be astounding and enriching, and I often peruse through this book when I want to do some free-associating in order to give my current story world a bit more detail about its magic system. Since the Kobold Guides can technically be viewed as a two-for-one, I’m also throwing in a bonus resource: Google Earth. I love this program so much that I’ve downloaded the app to my phone (a highly regulated use of digital space in my case). There is so much about the Earth that is amazing beyond belief that I can never use it all in one book, so I use this resource for inspiration in landscapes and settings. What about you? If you’re a writer, what are some of your favorite worldbuilding resources? If you’re a reader, what are some of the details you enjoy the most from the worlds of your favorite stories? Great resources! Those sound very helpful. Thanks for sharing.